"WII Ration Book Four - Circa 1942. " (1950) WII Ration Book Four - - Circa 1942. 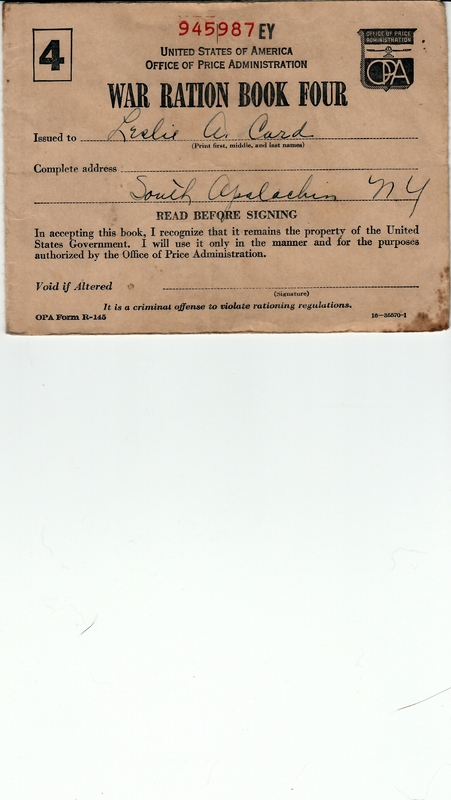 -Condition: Good + Book of ration stamps was issued to Leslie A. Card living in South Apalachin, NY. Many of the stamps are still attached to the book. Book number is 945987EY. Book measures 5 1/2" by 4". Price: $4.50 +shipping.